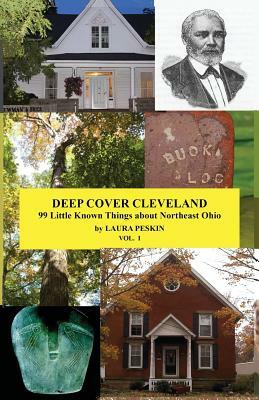 The first of a series, Deep Cover Cleveland vol I allows long time residents of a region, as well as newcomers, to view their home with new eyes -- with fascinating buried facts dancing before them. Though the subject matter for this work is not well known, it should be. Far from bringing to light trivia, Deep Cover Cleveland presents topics of natural, cultural and social import and ties them to larger events in the region and world. Vol I, spanning geologic time and the last ice age up to the financial depression of 1893, uncovers forgotten facets of Northeast Ohio's changing landscape, prehistory, Native American heritage, unique architectural history, and more, always keeping the area's people primary. **As of May, 2016 volume I has been revised with more pictures and info. and greater clarity. Laura Peskin, an almost lifelong greater-Clevelander, in addition to her respected book series, Deep Cover Cleveland, has contributed to Ohio Archaeologist, the Ohio Cardinal and View from the Overlook (journal of the Cleveland Heights Historical Society). Her writings have also been linked to research websites around Cleveland such as Bluestone Heights. Peskin started her own business in the 1990s and later earned an MA at John Carroll University.